Even though there are people out there falsely asserting that the scientific community is still up in the air on the issue, anyone in their right mind will agree that the Earth is getting frighteningly warmer—and this heating up presents a huge, looming problem. Al Gore helped increase awareness with his moment in the Nobel sun, but author Bob Reiss takes a look at global warming from a somewhat different perspective. 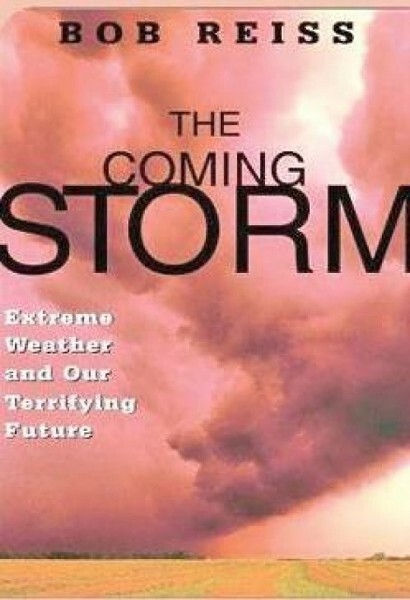 After spending a dozen years researching his subject, Reiss uses the narratives of people around the world who are directly engaged with this concern as the backbone for his engaging book, The Coming Storm: Extreme Weather and Our Terrifying Future. Not only does he explore the personal tragedies surrounding the climate shift— like deadly heat waves, increasingly powerful storms, rising tides and sinking cities—he also ventures into bravely suggesting solutions to avert the impending crisis.